In medieval times, kings employed tasters to try their food and drink and test it for poisons, before the kings would consume it themselves. In these democratic times, the public entrusts the testing to scientists and regulators. While far more people are protected from harm than in the days of medieval tasters, when it comes to science reporting on environmental causes of cancer, calls for precaution regarding potentially harmful substances are being lost in media reports that misinterpret or minimize important findings. One example of this problem lies in articles that interpret gaps in the scientific literature and accompanying calls for further research as evidence that a given substance is safe. Even if the reporting pays heed to calls for further study into the effects of a given chemical, readers can be misled by titles that present an absence of information as reassurance. Absence of evidence is NOT evidence of absence. 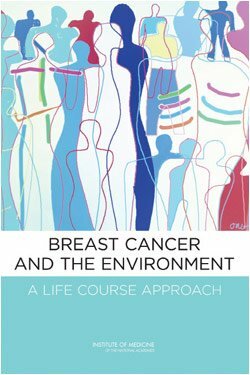 In December 2011, the Institute of Medicine (IOM) released the report Breast Cancer and the Environment: A Life Course Approach. Consisting of a review of previous studies, the report was sponsored by the Susan G. Komen Fund for the Cure. The report offers familiar recommendations that emphasize the individual’s personal responsibility in making lifestyle choices, such as avoiding tobacco, alcohol, excess medical radiation, and menopausal hormone therapy (unless necessary). As the Silent Spring Institute notes in their response to the IOM report, the study departs from general medical establishment skepticism and emphasis on individual choice in two significant ways: The report recommends that we “limit or eliminate workplace, consumer, and environmental exposures to chemicals that are plausible contributors to breast cancer risk while considering risks of substitutes.” This recommendation, combined with the IOM’s conclusion that human and animal studies indicate benzene, ethylene oxide and 1,3-butadiene as breast cancer risks, was not clearly reflected in mainstream news reporting on the IOM study. Articles that emphasize a lack of conclusive evidence foster a false perception of the underlying cause of the lack of scientific and regulatory consensus. According to the Breast Cancer Fund’s 2010 report State of the Evidence: The Connection Between Breast Cancer and the Environment the lack of action in classifying endocrine disrupting chemicals as carcinogens, “reflects controversies in the scientific literature, considerable pressure from industry, and failure of the scientific communities and regulatory agencies to agree on methodologies and criteria for classification of these chemicals.” (see page 41) This is not due to a lack of evidence, but instead reflects ongoing debate. Causing unnecessary panic about chemicals we encounter in daily life is not helpful, but it is arguably worse to conflate the issue to the point where members of the public lack the tools to make informed choices about what substances to avoid. In some cases of skewed reporting, as with tobacco and climate risk-deniers, it’s obvious that the science has been misrepresented due to bias or vested interest. But sometimes it’s just a case of inadequate attention to detail. In both instances, when facts are misrepresented ignorance rules the day, and the public shoulders the consequences.